Brooklyn Heights is very attractive due to it’s proximity to Manhattan but also for its lovely brownstones and tree-lined streets. 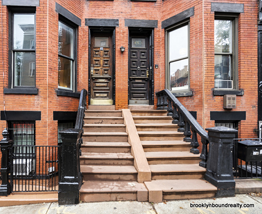 This historic neighborhood is home to cobblestone streets, cute cafes, and is a short walk from the Brooklyn Bridge. Located on the East River waterfront, Brooklyn Heights has been home to several famous personalities, including names such as Walt Whitman.